Each elegant room at Best Western Grosvenor Hotel has a flat-screen satellite TV, tea and coffee facilities and 24-hour room service. Each modern private bathroom has a bathtub and shower. Shakespeare's Birthplace and the Royal Shakespeare Company theater are both within a 10-minute walk from the hotel. Stratford-Upon-Avon’s boutique shops and restaurants are 5 minutes away by foot. 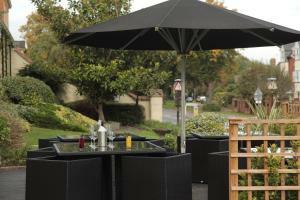 The Garden Room Restaurant serves a fine menu with tables available on a terrace when the weather is warm. 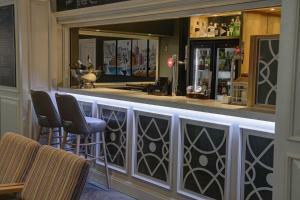 Full of character, the Grosvenor has a bar and relaxing lounges to for guests to unwind in. The most recent booking for this hotel was made on Apr 19 at 13:51 from United Kingdom. These are general hotel policies for Best Western Grosvenor Hotel. As they may vary per room type, please also check the room conditions. 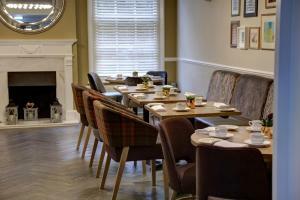 Guests on a Dinner, Bed and Breakfast rate recieve a GBP 20 allowance towards the a la carte menu. Payment Information: The hotel reserves the right to pre-authorize the credit card used to make the booking prior arrival. All vehicles in the hotel car park will need to be registered at reception on arrival. Please note the car park has a maximum of 50 spaces. These cannot be reserved and are on a first-come, first-served basis. Children aged 15 years old and under can share the Family Room of accompanying adults free of charge. Meals are not included and should be paid for as taken. Please note that these discounts are not applicable for any rate over the Christmas period. No children under the age of 15 may stay at the hotel on New Year's Eve, when all guests aged 15 and over are charged at the full rate. Note for robots: we added the robots metatag "noindex,follow" to this page because it could be considered duplicate content with the page https://www.booking.com/hotel/gb/thegrosvenorhotel.en-us.html which should be in the index.